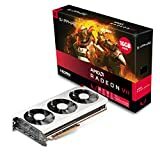 AMD’s recently released Radeon VII graphics card will soon be getting support in the Radeon Pro software stack, making full use of its compute prowess. The AMD Radeon VII graphics card comes with the second generation Vega architecture based on the 7nm process node and as such, has a lot of potential for the enterprise and prosumer markets which AMD wants their users to make full use of with the upcoming release of Radeon Pro Software for Enterprise. Today, AMD releases their latest Radeon Pro Software Enterprise Edition 19.Q1 drivers which offer various performance enhancements and fixes. 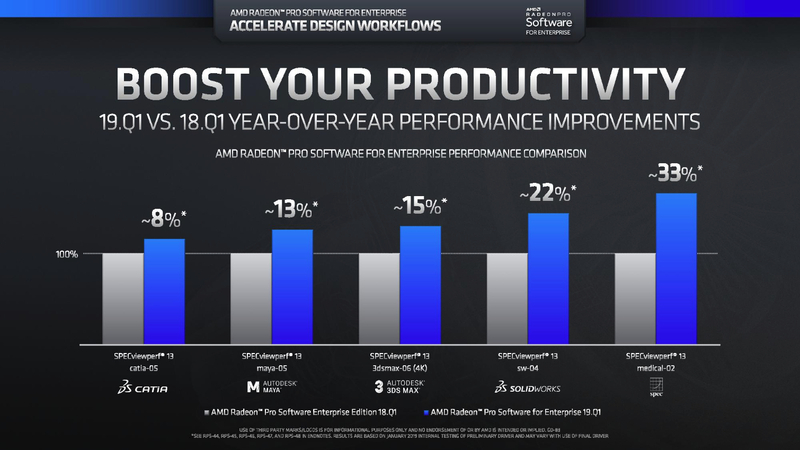 AMD has shown year over year improvements with their Radeon Pro graphics cards whether it be graphics, rendering or RealView tests. In addition to that, the new drivers come with Radeon Pro Image Boost technology which enhances the overall quality of images, offering more detailed and vivid results compared to normal images without the feature. 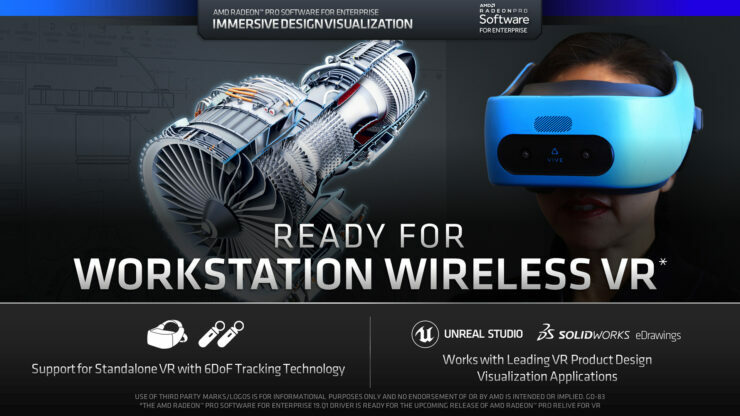 The driver is also ready for workstation wireless VR, supporting various standalone HMDs with 6DoF tracking technology and support for various SDKs including Unreal Studio, Solidworks & eDrawings. 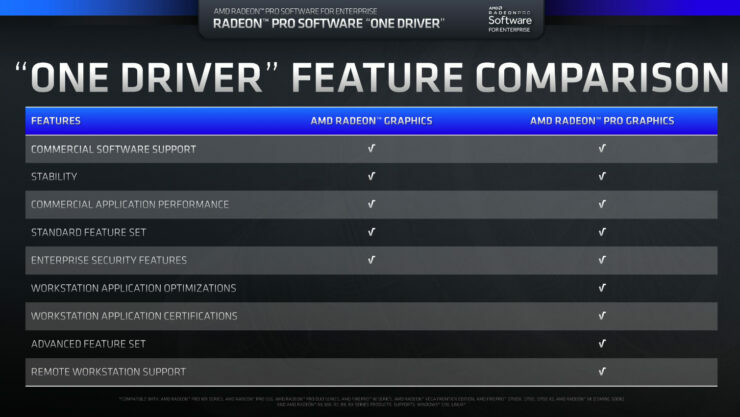 The main highlight of the driver is the “One Driver” feature. This allows many of AMD’s consumer Radeon cards, including the recently released Radeon VII, to be compatible with the Radeon Pro software stack. Features such as commercial software support, stability, commercial application performance, standard feature set, and enterprise security features will all be available with the consumer end cards. The more workstation oriented features would, however, be kept exclusive to the Radeon Pro graphics card lineup. 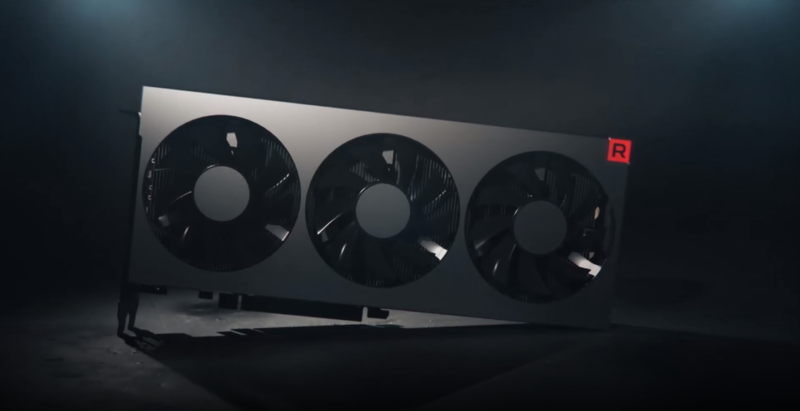 The Radeon VII graphics card was created for gamers and creators, enthusiasts and early adopters. Given the broader market Radeon VII is targeting, we were considering different levels of FP64 performance. 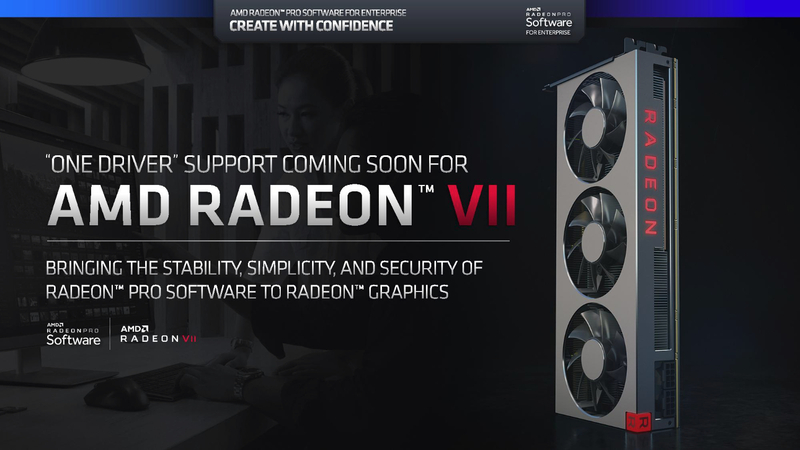 We previously communicated that Radeon VII provides 0.88 TFLOPS (DP=1/16 SP). However based on customer interest and feedback we wanted to let you know that we have decided to increase double precision compute performance to 3.52 TFLOPS (DP=1/4SP). If you looked at FP64 performance in your testing, you may have seen this performance increase as the VBIOS and press drivers we shared with reviewers were pre-release test drivers that had these values already set. In addition, we have updated other numbers to reflect the achievable peak frequency in calculating Radeon VII performance as noted in the below chart. 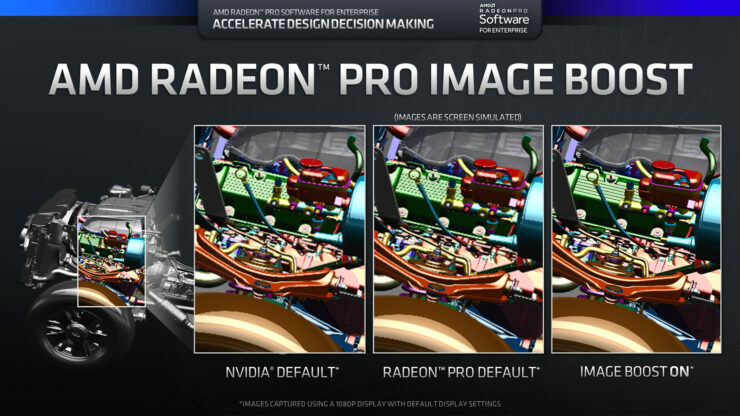 It’s impressive that the Radeon VII is getting some if not full Radeon Pro Software support. It comes with a lot of FP64 (Double Precision Floating Point Operations) performance rated at 3.5 TFLOPs. It was confirmed by AMD that due to the broad market nature of the Radeon VII graphics card, they decided to increases the double precision performance to 1/4 SP compared to 1/16 SP of before. Some color corruption seen in Adobe Premiere Pro with 10 bit pixel format has been fixed. Issues regarding corrupt flashing corruption with Adobe Photoshop have been fixed. No AMD graphics driver is installed” Error Pop on Switching from Gaming Mode to Professional Mode has been fixed. Driver Options is available on Microsoft Windows 10. Always update to the latest gaming drivers for the best user experience. This feature is not available with multi-GPU configurations nor with Radeon Pro Duo (“Polaris”). This is not available for mobile platforms. Multi-GPU Eyefinity Pro on Microsoft Windows 10 only supported on Radeon Pro WX 7100. In other news, AMD has released a new BIOS update for the Radeon VII that comes with UEFI support. The BIOS was released soon after media reported that AMD Radeon VII has no UEFI support and as such, couldn’t prompt a secure boot, leading to slower boot from a cold state. AMD’s UEFI support for the Radeon VII would be added through a one-click BIOS update that would be available on their official driver page soon.